Kamianets-Podilsky foundation is a non-profit organization devoted to preservation, restoration, and promotion of Kamianets-Podilsky, an ancient historical town in Western Ukraine. The website was designed in 1998 and lasted until 2002. Unfortunately, none of it was preserved but a screenshot. 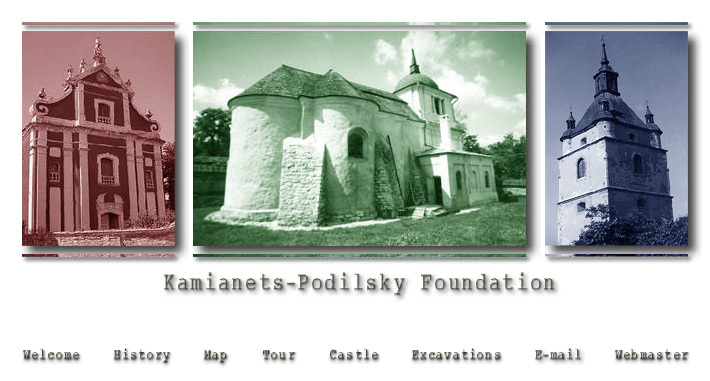 Kamianets-Podilsky foundation website front page.